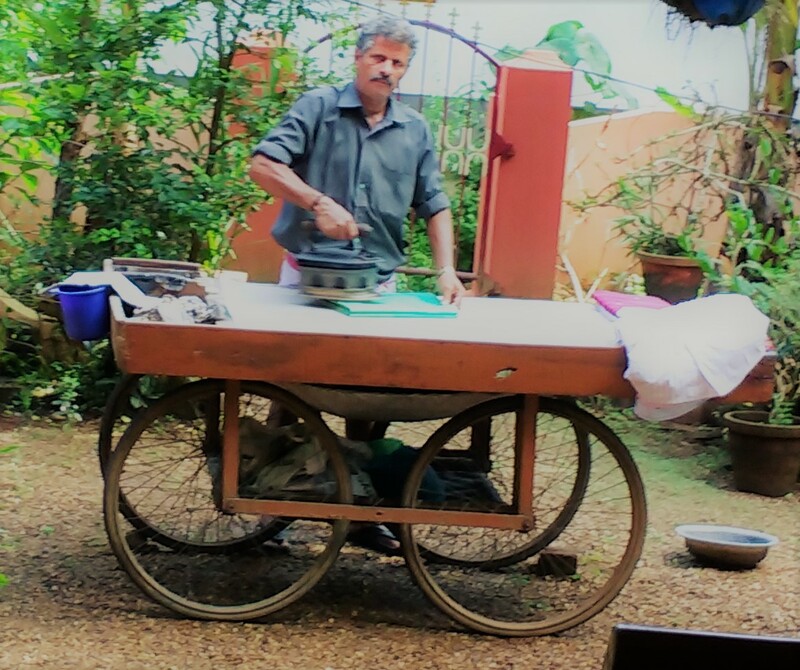 It was when I was last visiting my mom in Kerala, I got to see him in person. My mom used to tell me that he comes every fortnight to see if they need his services. But nothing had prepared me for this! This was a completely new concept! 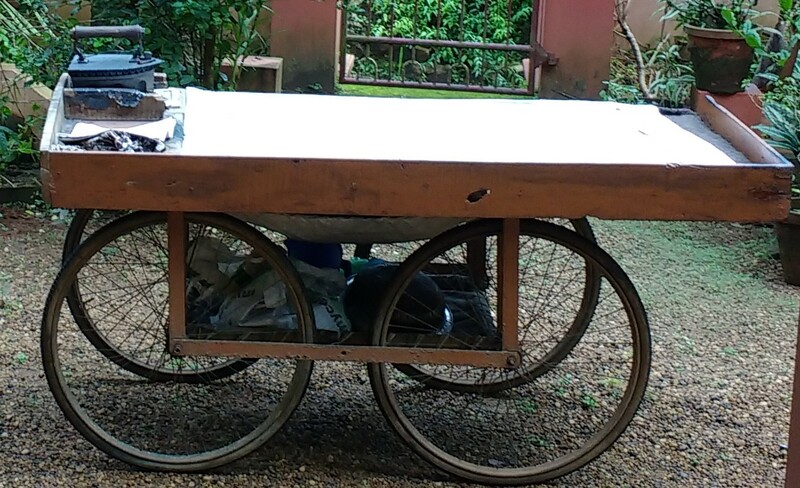 In earlier days, we used to do all our ironing at home. I only remember the good old electric iron and then came the steam irons which were a little more comfortable and helped us get a wrinkle free appearance. Once we came to Delhi, there were people doing the ironing for an entire colony. 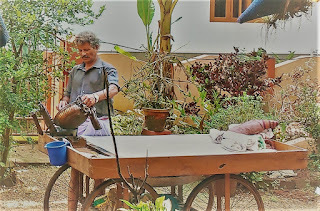 They would come and collect washed clothes from our home and take it to their shed which was usually in one corner of the colony. 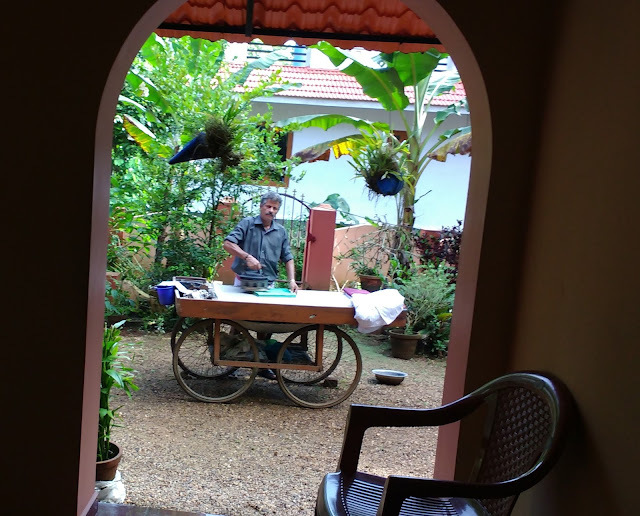 They would iron all the clothes and keep them separate – house by house so it is easy for them to take it back. And they would charge some money for this service – it started off from Rs.1/- per material to now almost Rs.10/- per cloth. One gets to know the rate of inflation from these price rises!! 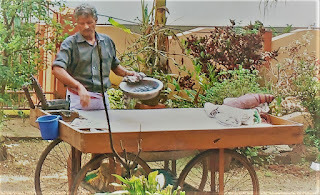 In Kerala, when we used to go as children, I remember having seen this iron metal box. My grand mother and Aunts would put hot coals into this box so it heats up. 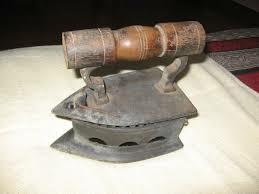 And this was used to iron the clothes then. So, this complete transformation from ironing at home and then giving it to someone else to take the clothes for ironing to now a person coming with all the paraphernalia to your doorstep to do the service for you, was completely new to me. It is a complete set. The iron, the iron board, coals, etc. The only thing he would need is clothes that my parents were ready to give and some water so he could spread it on the clothes for the steam effect. Once he got the clothes, he would fire up the coals, and transfer them into the iron and then get busy with the work. Once done, he would handover the clothes and collect his money and leave! !